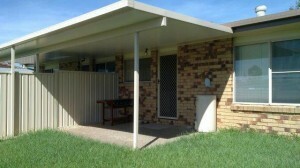 Patios Brisbane - Premium Patios in Colorbond. Delivery to All Areas. 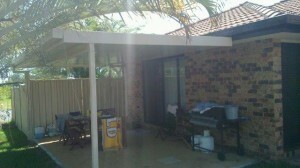 So time to get the patio or pergola you are wanting. 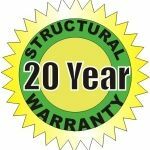 You can also have peace of mind knowing that they are made of quality steel from Bluescope Lysaght, and backed with their 20 Year structural warranty. Choose from a range of colours with a flat dek or insulated panel roof in various thicknesses. These represent great value with a finish that complements and adds value to your home. We include engineering with all patios that complies with the building codes and wind standards of your particular address. Another guarantee of quality. 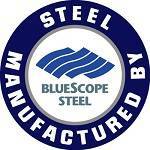 There is a major steel manufacturing plant is Brisbane. This means we cam deliver to all areas of the city and surrounds. Brisbane – Bowen Hills, Brisbane City, East Brisbane, Fortitude Valley, Herston, Highgate Hill, Kangaroo Point, Kelvin Grove, New Farm, Newstead, Petrie Terrace, South Brisbane, Spring Hill, Teneriffe, West End, Woolloongabba, Albion, Alderley, Ascot, Aspley, Bald Hills, Banyo, Boondall, Bracken Ridge, Bridgeman Downs, Brighton, Brisbane Airport, Carseldine, Chermside, Chermside West, Clayfield, Deagon, Eagle Farm, Everton Park, Fitzgibbon, Gaythorne, Geebung, Gordon Park, Grange, Hamilton, Hendra, Kedron, Keperra, Lutwyche, McDowall, Mitchelton, Myrtletown, Newmarket, Northgate, Nudgee, Nudgee Beach, Nundah, Pinkenba, Sandgate, Shorncliffe, Stafford, Stafford Heights, Taigum, Virginia, Wavell Heights, Wilston, Windsor, Wooloowin, Zillmere, Acacia Ridge, Algester, Annerley, Archerfield, Berrinba, Burbank, Calamvale, Carole Park, Coopers Plains, Darra, Doolandella, Drewvale, Durack, Dutton Park, Eight Mile Plains, Ellen Grove, Fairfield, Forest Lake, Greenslopes, Heathwood, Holland Park, Holland Park West, Inala, Karawatha, Kuraby, Larapinta, Macgregor, Mackenzie, Mansfield, Moorooka, Mount Gravatt, Mount Gravatt East, Nathan, Oxley, Pallara, Parkinson, Richlands, Robertson, Rochedale, Rocklea, Runcorn, Salisbury, Seventeen Mile Rocks, Sinnamon Park, Stretton, Sumner, Sunnybank, Sunnybank Hills, Tarragindi, Tennyson, Upper Mount Gravatt, Wacol, Willawong, Wishart, Yeerongpilly, Yeronga, Balmoral, Belmont, Bulimba, Camp Hill, Cannon Hill, Capalaba West, Carina, Carina Heights, Carindale, Chandler, Coorparoo, Gumdale, Hawthorne, Hemmant, Lota, Lytton, Manly, Manly West, Moreton Island, Morningside, Murarrie, Norman Park, Port of Brisbane, Ransome, Seven Hills, Tingalpa, Wakerley, Wynnum, Wynnum West, Anstead, Ashgrove, Auchenflower, Bardon, Bellbowrie, Brookfield, Chapel Hill, Chelmer, Chuwar, Corinda, Enoggera, Enoggera Reservoir, Ferny Grove, Fig Tree Pocket, Graceville, Indooroopilly, Jamboree Heights, Jindalee, Karana Downs, Kenmore, Kenmore Hills, Kholo, Lake Manchester, Middle Park, Milton, Moggill, Mount Coot-tha, Mount Crosby, Mount Ommaney, Paddington, Pinjarra Hills, Pullenvale, Red Hill, Riverhills, Sherwood, St Lucia, Taringa, The Gap, Toowong, Upper Brookfield, Upper Kedron, Westlake.